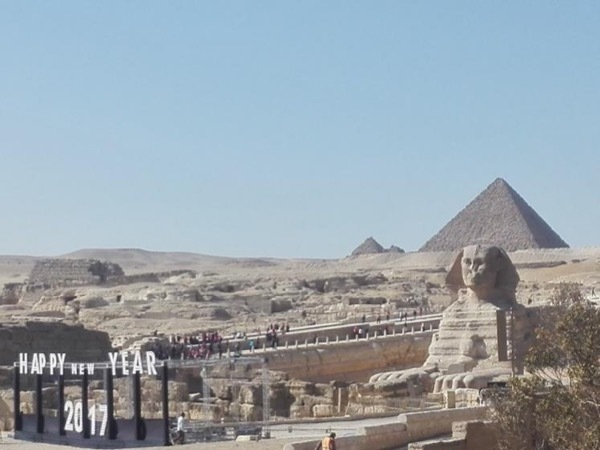 Traveler Reviews for Private Tour in Cairo, Egypt by Tour Guide Adel T.
Having traveled around the world, Egypt had always been a childhood dream of mine and thanks to our guide Adel, he made it come true. Even before our trip, he went to the Mogamma building in Cairo and helped my wife get her travel visa. When we met Adel, we felt we already knew him and he was so courteous, sincere, and supportive and he became our new friend. He showed us the pyramids, antiquities museum, Nile cruise, Khan el-Khalili bazaar, and the city of Cairo. Let Adel welcome you to the magic land. TOUR GUIDE RESPONSE: Thank you my friend and you are one of a kind , I wish to see you again and always wishing you & your lovely wife happiness, Love and light in your life . My goal in this life to make people happy and see a smile on their faces. Here in tours by locals we wish all good for you and wishing you happy new year . Adel.